Your cruise on the EUROPA 2 starts in the lagoon city. A historic old town is just waiting to be explored with its mix of Renaissance and baroque styles, nestled in a stunning natural landscape with beautiful outlying islands. Take a city tour* past grand buildings and enjoy the view from the nearby Srd mountain. Set sail for snorkelling sites in the crystal-clear waters of the Adriatic on a catamaran tour*. The bay overlooked by the Mediterranean city has been designated a UNESCO World Heritage Site for its cultural and natural significance. Enjoy a walk through the medieval old town and experience the sights first hand. Or choose adventure and relaxation with a trip by speedboat* to visit the famous Blue Cave or take an all-terrain vehicle trip to Lovcen National Park*. Get to know Monopoli – one of Apulia’s most romantic towns and an ideal starting point for an excursion to the cave dwellings of Matera*. Alternatively, you can also visit Lecce*, the “Florence of the south”. Visit Europe’s largest active volcano, Mount Etna*, by cable car and all-terrain vehicle. Cooled lava flows and an unrivalled view await you at a height of 2,900 m (9,514 ft). Alternatively, set out on a canyoning tour through the Alcantara Gorge*, or take a classic car tour* to the mountain village of Savoca in an original Fiat 500. Take a stroll and immerse yourself in the legendary atmosphere of this hotspot for the jet set. An independent boat trip* will take you to the island’s fabulous Blue Grotto. From the Colosseum to St. Peter’s Basilica – get up-close to the famous landmarks in the Eternal City*. Visit the Sistine Chapel in the Vatican*. Or if you would rather take in the landscape of Latium, an excursion to the towns of Tarquinia and Tuscania* is a perfect choice. Explore this small town in its spectacular location on a rocky outcrop on a walking tour* through the upper town and a boat trip to the outlying caves. Bonifacio is also the ideal starting point for a cliff hike* to the southern end of the island. For a more relaxed option, a boat trip will take you to the beaches of the Lavezzi Islands*. The chic boutiques and cafes of the fishing village are where international high society meets. Explore Portofino’s bay by kayak* or with a stand-up paddling trip*. Or head for Santa Margherita and Rapallo by boat*. A city full of elegance and savoir-vivre, stylish squares and the colourful flower market* beckons. Produce your own creation on a perfume workshop*. Or follow the scents of Provence as you wander through the small town of Antibes* on the Cote d’Azur. 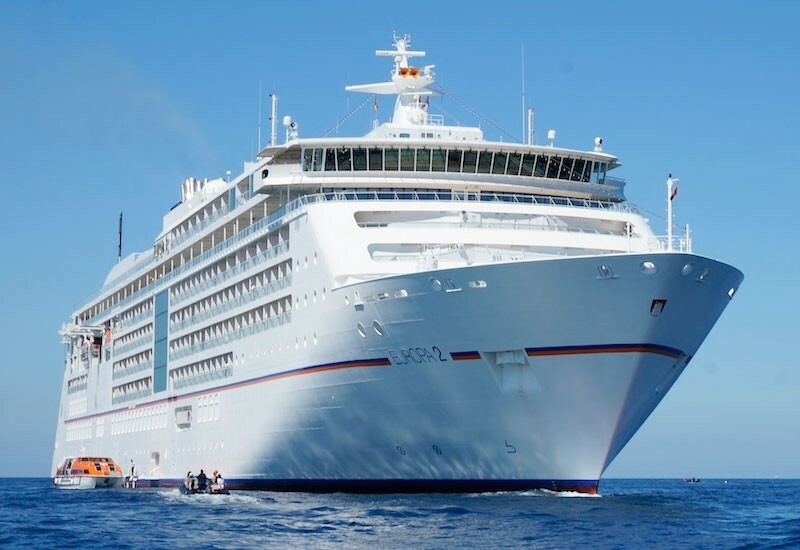 See out your cruise on the EUROPA 2 in style in the elegant city state and its casinos.